Discover How Lucifer Lost His Wings in the Winter Premiere "City of Angels?" Episode 3×11 “City of Angels?” — In a flashback episode that takes place when Lucifer first came to LA, Amenadiel comes to retrieve his fallen brother, but is shocked when he is mugged. 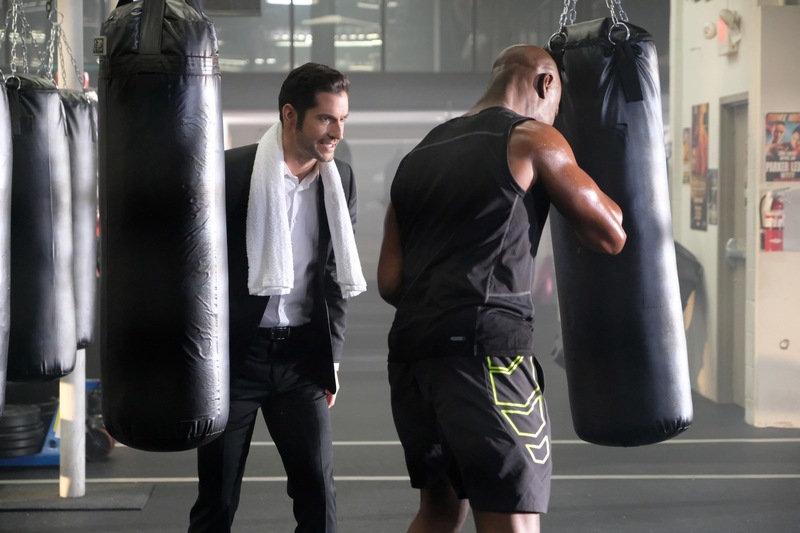 Amenadiel enlists Lucifer’s help to track down the mugger and Lucifer, in turn, offers his assistance – but only in exchange for a favor. Meanwhile, Chloe and Dan – who are still married – investigate the murder of an MMA fighter, Aidan Scott, at the hands of the same killer who mugged Amenadiel. Guest Cast: Chris Mulkey as Gil, Taylor Black as Misty Canyons, John Charles Meyer as Tio. Air Date: Monday, January 1 (8:00-9:00 PM ET/PT) on FOX.